Schoen Lake Provincial Park is one of Vancouver Island’s best kept secrets when it comes to remote wilderness camping. 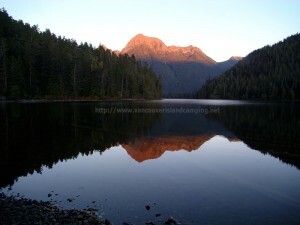 The relatively untouched area is amazing to behold with lots of scenic shots of mountain tops and old growth forests. Old unmaintained trails still exist at various points around the lake and with a little exploration you can venture through the old growth forests to smaller bodies of water in the surrounding mountains.